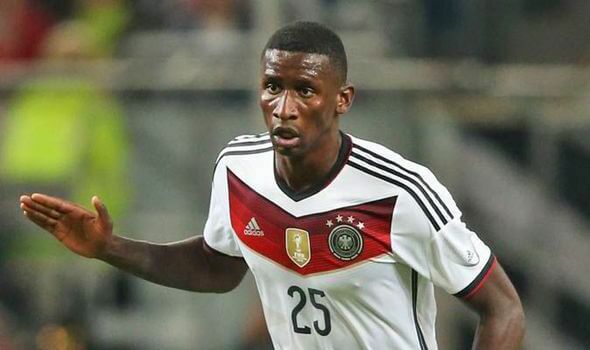 News in the Mirror today that one player Newcastle are trying to sign 22 year-old is Stuttgart center-back Antonio Rudiger, who has already played six times for Germany. Newcastle were first linked with this young defender in May of last year. The news is that Wolfsburg are also after the defender, but Newcastle have gained some momentum in the transfer market with the signing of Georginio Wijnaldum yesterday, and are willing to offer big money for the 6ft 3 ins central defender. 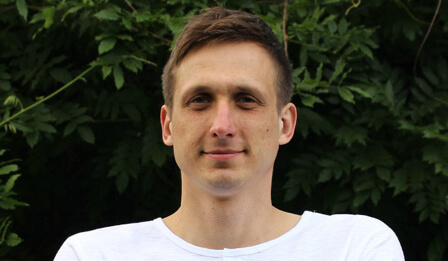 Since making his first team Bundesliga debut in January of 2012 in a match against Borussia Monchengladbach, he has played 80 times in Germany’s top league with two goals. Rudiger is one of the best young players in the Bundesliga at the moment and may be in big demand this summer. Last October Manchester United, Chelsea and West Ham were said to be tracking the progress of the 22 year-old. Antonio has played for all the German Youth sides from U18 through U21, and made a total of 33 appearances before making his full debut last year. That was in May of 2014 in the 0-0 draw against Poland. He was born in Berlin and was previously at Borussia Dortmund before joining Stuttgart four years ago, and he has a contract that lasts though June of 2017. He would seem to be a terrific signing if we can get him and maybe he is one of the players Steve McClaren has said we are trying to sign at the moment. Newcastle will be trying to sign two center-backs this year, and we have already been linked with some very good defenders this summer. yes please but cant see him coming for under 10mil. Break the bank for him. There were reports that SDJ had a poor game. Don’t know whether they were accurate or not. he Daily Mirror article is interesting in two respects. One, its the favoured press mouth piece for the club (together with Sky) and therefore should more credence be given to the article especially as no other media outlet has previously mentioned the family ? Two, would they make up the story of his family visiting the club and annoy their favoured status ? Just had a look at N’tep on you tube & as always on you tube players look good. N’tep looked impressive,have you seen him play live? He’s built like a CF, do you know if he’s played that position before ? I seem to remember his name so we may have been looking /linked with him before. Yes quite true but only if no other Premiership club has been active in the transfer market. The ledge don’t get the joke. Nut meg we’ve been linked with everybody. Everybody. Go back far enough Emperor Charlemagne was in our sights once. Another Carr prospect. he was involved a lot and showed he had a brain with the positions he took up on and off the ball but yes he missed 2 shots that really should have been on target ! none the less he was the one that made those runs and made the chance with his reading of the game so for me it was a lot more positive than negative for him. n’tep no please, let’s have. CH who can head the ball, defend and lead the back 4. Jail likes to moan, he’s very good at it. Tsunki it don’t trouble me it just repetitive. It’s not starting to get childish, it always has been. But on the other hand there is nothing childish about wanting the removal of that fat parasite Mike Ashley. Ok. Ledge has missed the point of the “Ashley out” thing, to the point of irony. Jail isn’t moaning, you should know that the Ashley Out comment at the start of each article is a running joke. Or are you just stiring again? The kettle calling the frying pan grimy ar*e.
I have been watching quite a few games with him, yes. You are exactly right – he is built like a CF and can play in that role as well. He is probably more an inside forward than a winger in the classical “hugging the touchline” sense. He can cross though, due to being equally strong with both feet, which is a real plus in compared to the more one-footed wide forwards who are oftem limited to cutting inside to shoot. We were linked with him before he went to Rennes for a measely £3m a couple of seasons ago. At that time he was a bit of a show off, doing too many step overs and taking on 3-4 players instead of picking out a pass. He had matured a lot though, and at 23 being a full French international and still playing at one of the lesser clubs in France, I’d say now is the time to pick him up. He has one eye on the Euro’s next summer, and with the fierce competition for places in the France squad in mind, we could give him exactly the platform to raise his game to get in ..
You want him out but post Ashley in ! You have got some issues me thinks. N’Tep and a CB aren’t mutually exclusive, are they? I am not ignoring the need for defensive strenghening, just pointing out that I’d rather have a LW / LF instead of two strikers .. I know we need at least one CB in as a priority, I’ve been on about long enough but I wanted to know what funkness knew about N’tep. I got the answers to my questions.He has seen him play live a few times, he is built like a CF, we have been linked with him before…a couple of seasons ago.Mission complete effortlessly. Thanks for that reply,he’s worth watching. This blog wouldn’t be the same without your opener “Ashley Out” ! Re Mitrovic, the other contenders can’t match our bid and I think they’re probably waiting for a really big club to come in before accepting our bid. The only thing stopping us atm is no CL but I think we will get him. He is class! Here’s my take on Rudiger as someone who follows the Bundesliga closely (but with no inside info). Outstanding prospect. Been linked with Man U and Chelsea. Has stated he wants to stay in Germany, and if he makes a move it is most likely to Wolfsburg. If any other Premier League club seriously came into the picture, MU or Chelsea would undoubtedly make their move. Like most of them, wants CL football. An entirely unrealistic target for us in my view.